GIN is a Gloucestershire networking group with a difference. Not only do we provide our members with quality referrals and business opportunities, as well as a support network of other business owners, but we give back to the local community and local charities as we operate on a non-for-profit basis. 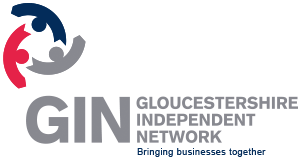 Established in 2009 we are one of the longest running Networking Gloucestershire organisations and our membership grows steadily each year. Meeting once a week at the Hatherley Manor Hotel for breakfast meeting helps us to build long term, reliable and trustworthy relationships with one another. All of our members are focused on growing business within the group and providing a supportive environment to one another. Loyalty is incredibly important to the success of the group and as such we operate membership based on one member per business category. During our meetings we give each member and guests an opportunity to give a one minute pitch on their business and what referrals they may be looking for. Following on from this we either have a presentation from one of our members or an external speaker. Finally comes the referral round where any business opportunities are passed around the room. All whilst enjoying a nice breakfast. Visitors are always welcome. Contact us today to book in for our next meeting. When it comes to raising the profile of your business there is no better way to achieve this than through networking. Meeting regularly with other businesses gives you the chance to promote the work that you do whilst building trusted relationships with other business owners. Networking is about building trusted relationships with other companies, meaning that you increase your potential customer base. It is not about selling to who is in the room at networking, but who they know and can refer you to. This can only be achieved by building solid relationships with those people that you network with. Having a network of other businesses that you can build relationships with, not only gives you access to other customer bases, but also gives you a ready made community of people who can help with business advice and act as a sounding board for any ideas or issues that you may have. As well as other people to celebrate your business successes with. We have had great referrals which have turned into long term landlords. Also GIN is an excellent pool of knowledge, a good sounding board and feels like a business family. What I get out of GIN is clients, advice and a good/trusted group of suppliers.